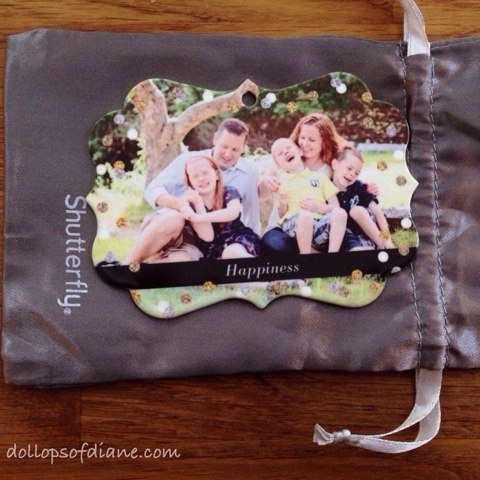 Dollops of Diane: Stonyfield and Shutterfly: $20 Promo Code! Stonyfield and Shutterfly: $20 Promo Code! Anyone who knows me knows that I LOVE pictures. My mom loved taking and displaying photos and she passed that love along to me. We have frames galore hanging around the house filled with captured memories. This past summer I recently bought two more collage frames (one can never have too many!) and printed off a bunch of my favorite baby pictures to display. Each day I pass by and admire the chubby cheeks, feetie pajamas, and wobbly legs of days gone by. Those baby days really do go by in the blink of an eye so I am so thankful that I was camera obsessed and can look back on them now. Stonyfield and Shutterfly also recognize that babies and photos go hand in hand so they teamed up to bring you an awesome offer. When you purchase any Stonyfield YoBaby or YoTot yogurt 6-pack, you receive $20 off your order at Shutterfly.com. The offer is good for $20 off one qualifying merchandise order of $20 or more. It is limited to one per household and ends on February 29, 2016. You can learn the full details by clicking HERE. So next time you purchase a Stonyfield YoBaby 6 pack (which my babies used to love! ), look on the top of the orange lid and get your code! 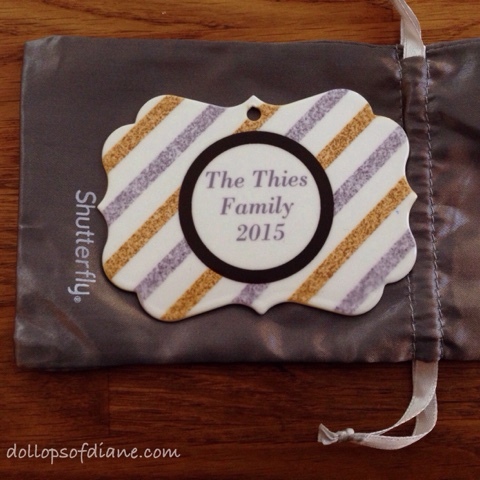 Shutterfly and Stonyfield were nice enough to send me a code to use and I made a Christmas ornament to hang on our tree this year. I know, I know, it seems too early for Christmas, right? I figured might as well get a jump on it and I used a photo from our family shoot this past summer. I loved that it came in a little bag for me to store it in or it would be perfect if I was giving it away as a gift. So now that I've made this ornament I feel tempted to make a million more. It's hard having a photo addicted personality! Looks like maybe I'll have to start buying Stonyfield baby yogurts again for friends and family! *Disclosure: This post was written in partnership with Stonyfield and Shutterfly. As a YoGetter Ambassador, at times I receive free product and/or compensation. As always, all opinions are my own.